Among the most important rookie cards in the hobby and seldom seen in such sensational condition. 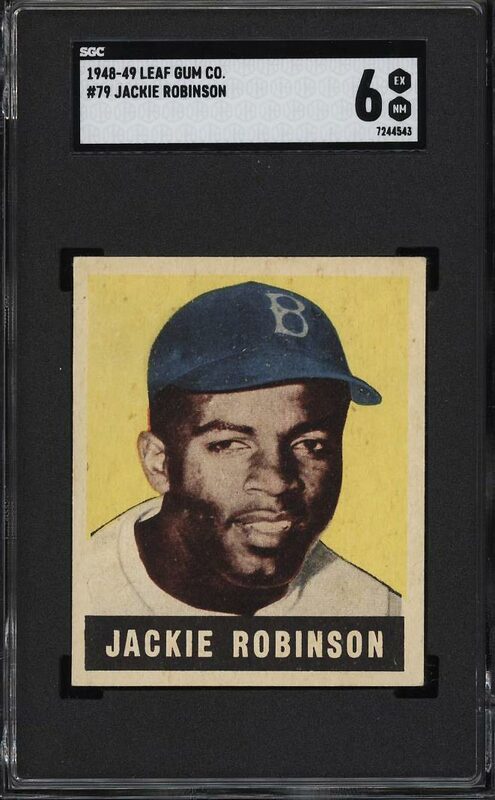 The offered '48 Leaf Jackie Robinson rookie lies within a brand new SGC 6 holder and boasts rock-solid EXMT presentation throughout. This card portrays a classic portrait image of the legend who broke the Major League Baseball color barrier. Rarely is this condition sensitive rookie card seen in such high-grade and one does finally surface it's aggressively pursued by knowledgeable investors. The card possesses a glowing yellow background with outstanding clarity. Beautifully centered with smooth edges and near immaculate borders. Minimally worn corners is perhaps all that prevents an even higher grade. 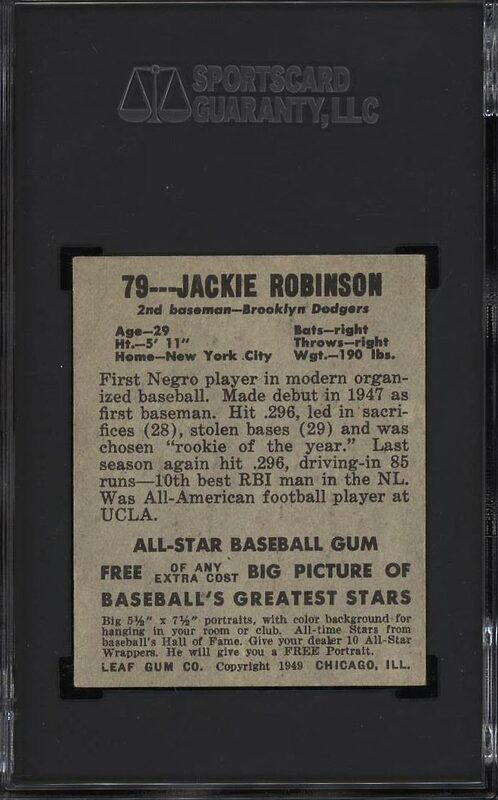 A unique opportunity to acquire one of the finer '48 Leaf Jackie Robinson rookie cards in the hobby. Enjoy! Part of an extensive run of popular '48 Leaf Baseball examples up for auction this month. Many tough short prints which are rarely seen on the public auction block are available. One of over 16,000 cards, lots and sets up for bid in our 1st Auction of 2019. Click on the link above to view the other PWCC auction lots.